Materialism in India, very much like materialism in Greece, has to be reconstructed on the basis of fragments. Although the materialist tradition can be traced back to the Upaniṣads on the one hand, and the Buddhist and Jain canonical works on the other, the fragments offer only a glimpse of materialist thought. The same is true of the Presocratic philosophical tradition in Greece. Yet the glimpses we have from other, non-philosophical works are no less illuminating than those found in philosophical works proper. Some instances of the early sources related to pre-Cārvāka materialism have already been offered before (see R. Bhattacharya 2012b). In what follows I propose to add a few more instances related to the anti-Vedic tradition mentioned by Patañjali, the voice of rationalism found in the Purāṇas, the reception of Jābāli, a proto-materialist thinker as well as the Cārvāka/Lokāyata in modern Indian literature, and finally the representation of Lokāyata in Jain literature and the Rājataraṅgiṇī. Belief in the authority of the Vedas, and in a creator (of the world), desiring merit from bathing, pride in (high) caste, and practising self-denial for the eradication of sins – these five are the marks of stu­pidity of one whose intelligence is damaged. Satirical epigrams against the Vedists (as also other religious sects and the Lokāyata materialists) were composed not only in Sanskrit but also in Apabhraṃśa. The dohā (couplet)s by Sarahapāda, the Mantrayānῑ (also known as Sahajayānῑ and Vajrayānῑ ) guru, provide some such examples. See Shastri, pp.84-127 (dohās by Saroja-vajra (Saraha) and Kṛșṇācārya (Kāhnu) with commentaries in Sankrit; Bagchi, pp. 4-21 (text and Sanskrit chāyā (gloss) of 32 verses), and pp.72 et seq (text, Sanskrit chāyā and commentary); Sankrityayana, pp.2-4 (text with a chāyā in Old Hindi), pp.38-42 (Tibetan text and Apabhraṃśa versions). Saraha satirizes Brahma (Brahmin), Īśvara (theist), Arhanta (Jain), Bauddha, Lokāyata, and Sāṃkhya. The commentary (in Sanskrit) describes all of them as ‘the six systems of philosophy,’ șaḍdarśanāni (Shastri p.84, Bagchi p.72). In Sankrityayana’s edition only four sects or communities are mentioned: the Brahmins, the Pāśupatas (a cult of the worshippers of Śiva Paśupati, the lord of the animals), the Jains, and the Buddhists. As has been pointed out before (see R. Bhattacharya 2013c), all of such satirical epigrams do not represent the materialist view; the Jains and the Buddhists, among others, too are known to have composed similar epigrams in Sanskrit. Songs and verses of the same nature, mostly orally transmitted in Modern Indian languages, are still current among the minor communities belonging to the Little Tradition (Shashibhushan Dasgupta (1946) called them ‘obscure religious cults’). A recent study of the Bāuls by Jeanne Openshaw (2002) contains some specimens of Bāul songs rendered into English. Other communities like the Balāhāŗi, Sāhebadhani, etc. are strongly anti-Vedic and anti-Brahminical. They too vent their feelings in songs that are being collected by field-workers and researchers like Sudhir Chakrabarti and others. A compilation of the so-called pramattagῑtas from all available sources (like Colonel Jacob’s collection of popular maxims and proverbs, laukika nyāyas) would doubtless make interesting reading. The nāstikya (lit. negativism) in the Jābāli episode of the Rām Ayodhyākāṇḍa, critical edition canto 100 vulgate canto 108, is confined to only two areas. The firsy is the denial of or, as in an interpolated passage in Bv (Bengali version) of the Rām (Gorresio’s ed. 116.34cd-40ab, Thakur’s ed. (Kalikata) 116.34-39), doubt concerning the other-world and whatever else it implies, such as, the denial of the existence of the extra-corporal soul, and hence the futility of performing śrāddha, donating to the Brahmins, etc (crit. ed. verses 2.-14; vulgate verses 2-15). The second area, allied to the first, is the denial of the validity and veracity of religious law books related to domestic rites (crit. ed verse 15; vulgate verse 16). The context admittedly permitted only this much. Another aspect of nāstikya is found in the VPu 3.18, plagiarized in the PPu Sṛṣṭikhaṇḍa chap. 13. The passage may very well be a specimen of Pre-Cārvāka materialist thought which supplements the nāstikya of the Jābāli episode in Rām (2.100-01 in the critical edition, cantos 108-09 in the vulgate), inasmuch as another significant theme is introduced, namely, rationalism. I do not use this term in the sense current in of seventeenth-century Europe (as in the contraposition of empiricism vs. rationalism), but to suggest ‘the practice or principle of basing opinions and actions on reason and knowledge rather than on religious belief or emotional response,’ as defined in The Concise Oxford English Dictionary (2011). Right from H. H. Wilson and J. Muir down to D. R. Shastri, Bishnupada Bhattacharya and others, many, if not all, scholars have taken the VPu stanzas as representing the materialist view (for sources, etc. see R. Bhattacharya 2013c p.617). They might have been misled by Sadānanda Kāśmīraka (seventeenth century) who quoted (as usual, with variants) four stanzas (pp.100-01), mentioned their exact source, VPu 3.18 [Vangavasi ed. 3.18.24-27] – doubtless a rare event – in his ABS chapter 2 (every chapter in this book is called ‘cudgelling’, mudgara-prahāra), devoted to the refutation of the Cārvāka (pp.98-106). Such an uncompromisingly rational approach (cf. Vpu 3.18.24a, quoted above) is not expected of a Jain or a Buddhist monk. The Vpu, it should be noted, speaks not only of these two sects but also of other heretics (pāṣaṇḍins)  with whose doctrines Māyāmoha deluded the rest of the demons: anyānāpyānya-pāṣaṇḍa-prakārair-bahubhir …daiteyān mohayāmāsa māyamoha ’timohakṛt (VPu 3.18.21). It is conceivable that the two stanzas quoted above represent the view of a rationalist, or just a reasoner, haituka, who was equally a bête noire (pet aversion) of the religious law-makers. See R. Bhattacharya, 2009a). He need not necessarily be a materialist. He may very well be one of the lokayatika brāhmaṇas mentioned in Rām Ayodhyākāṇḍa crit. ed. 94.32, vulgate 100.38, who are accused of being contemptuous of the religious law-books, Dharmaśāstras. The Jābāli episode in the Rām Ayodhyākāṇḍa (crit. ed. cantos 100-01; vulgate cantos 108-09) attracted some modern Indian authors to write stories and plays highlighting his heretical views as found in the composite version of the epic. I am, not competent to speak about all modern Indian languages. However, some information may be available on the net. A. H. Salumkhe (1982) and Pradeep Gokhale (2013) have mentioned several such Marathi works. I can only speak of modern Bangla literature, but the account given below should not be taken as exhaustive. There must be some other works which escaped my notice or I am at present unable to locate (for instance, I remember having read a piece on Cārvāka by Jahnabikumar Chakrabarti printed in a Bangla journal but just cannot recall its name). Iswarchandra Gupta (Īśvaracandra Gupta, 1812-1859) composed an allegorical opera (yātrāpālā) called Bodhendu Vikāsa Nāṭaka in six acts. It was, as Gupta himself said, ‘similar to the play Prabodhadacandrodaya’. This allegorical play written in Sanskrit by Kṛṣṇamiśra, an arch Advaita Vedantin (twelfth century CE) has been translated into Bangla several times in the last two centuries. Gupta was the first to offer an enlarged version in verse and prose. Some parts of his paraphrase were published serially in his own journal Saṃvāda Prabhākara and the first three acts were published in book form by his brother Ramachandra Gupta (Rāmacandra Gupta) in 1270 BS (1863-64) after his death. The full play came out in 1308 BS (1901-02). There is a character called Cārvāka in the original Sanskrit play and Gupta has expanded the speeches attributed to him, added long declamations and, quite undaunted by any fear of committing anachronism, indulged in condemning female education in schools etc. (pp. 199-208) as he did in his own verse satires. These were the burning issues that rocked Bengal in the mid-nineteenth century. Notwithstanding all this, Bodhendu Vikāsa Nāṭaka exhibits perhaps for the first time the appearance of a materialist in Bangla literature, although it is not an original work but an over-extended paraphrase of a Sanskrit play. Gupta’s opera is too long to be performed on any stage, open-air or proscenium (in print it covers pp. 165-400, that is, 236 pages!). The play was not well-known but some of the speeches in verse by different characters like Krodha (anger), Ahaṅkāra (egotism), Hiṃsā (jealousy), Lobha (greed) followed by Cārvāka’s speech to his disciple were extracted in a selection of his poetic works published in two parts by Basumati-Sahitya-Mandira (date unknown). They were printed as independent poems. ‘Cārvvāker mata’ (the view of Cārvāka) (pp. 283-86). The poem covers, besides Cārvāka’s speech to his disciple he satires on a mendicant ascetic and then a daṇḍin (an ascetic carrying a stuff). Despite Rāma’s harsh rebuke and Jābāli’s ultimate confession to his opportunism followed by Vasiṣtha’s whitewash as found in the vulgate (which was the main source of the authors of Bengal), Jābāli appears as a dyed-in-the-wool rationalist in Paraśurāma (pseudonym of Rajshekhar Basu (Rājaśekhsara Basu 1880-1960)’s short story, ‘Jābāli’ (1333 BS, 1926 CE), later included in his second collection of short stories, Kajjalī (1335 BS, 1928 CE) and then in Part 2 of his collected works (posthumously published) (Granthāvalī 2: pp.33-55). At the beginning of the short story Paraśurāma quotes Jābāli’s speeches as found in the vulgate, cantos 108-09 (but not in Bv; the second speech of Jābāli is conspicuously absent in the NE version as a whole) from Hemchandra Bhattacharyya (Hemacandra Bhaṭṭācāryya 1831?-1906)’s Bangla translation of the Rām (composite version). Then he fabricates a story which tells what happened after Jābāli’s return to Ayodhyā. The story glorifies Jābāli at the expense of the gods and the sages. Abanindranath Thakur (Tagore) (Abanīndranātha Ṭhākura, 1871-1951), better known as a painter, turned Paraśurāma’s short story into a comic opera with enormous gusto (Abanīndra Racanāvalī, vol. 6). He even makes Jābāli say, ‘I’ve read Cārvāka,’ which the sage never declares either in the Rām or in Paraśurāma’s short story, the immediate source and inspiration of A. Thakur. Saradindu Bandyopadhyay (Śaradindu Vandyopādhyāya 1899–1970), himself an eminent litterateur, considered Paraśurāma’s protagonist as one of the ‘immortals’ in Bangla fiction (‘Amaravṛnda’, included in his collection of stories, Byumerāṃ (Boomerang) (1345 BS, 1938-39 CE), later in Śaradindu Amanibās (Omnibus), 7: pp.1-9). Jābāli appears as a character in this story too. Mention may be made of three more works which highlight the materialist doctrine although they do not mention Jābāli. Matilal Das (Matilāla Dāsa, ? - ?) composed Cārvvāka, a verse play in three acts (1340 BS=1933-34 CE). He had already published two collections of his poems and a collection of short stories. In this play Cārvāka is a disciple of Bṛhaspati. He is a philanthropist and a seeker of truth and reason. He preaches his views (adapted from Sāyaṇa-Mādhava’s Sarva-darśana-saṃgraha, chap. 1) in face of the opposition of King Samaraketu, Kautsa, a sage and others. Kaśyapa condemns him as a rebel, a revolutionary, a hypocrite, a heretic, etc. Upendranath Sensastri (Sen Shastri) (Upendranātha Senaśāstrī, 1894 - 1996) wrote a play, Cārvvāka, in prose (c.1939). It was published posthumously in a Bangla quarterly in 1997. Senshastri too draws heavily on Sāyaṇa-Mādhava and makes Cārvāka appear as a freethinker and a social rebel. Arindrajit Mukhopadhyaya (Arīndrajit Mukhopādhyāya, 1896-1966) is the author of an eight-page long poem, ‘Cārvvāker Ukti’ (The speech of Cārvvāka) which is included in his book of poems bearing the same title (1955). Here too Cārvāka is presented as a benefactor of mankind and one of his aims was to found a well-organized society for the good and happiness of the greatest number. In a note preceding the poem Mukhopadhyaya says: ‘A few days back one monk confined himself underground in a box measuring six cubic feet, at the outskirts of Delhi in order to meditate for some days for the benefit of the world and he died.’ This incident prompted him to compose the poem. Pramathanath Bishi (Pramathanātha Biśī 1901–1985) wrote a novel, Purṇāvatāra (1378 BS, 1971-72 CE). Cārvāka here (Part 3 chaps. 5-6, pp.253-54, 256-70) appears as a guru who has his own hermitage in a secluded spot near the Himalayas. He lives there with his disciples and preaches hedonism. People from different parts of India visit him; sometimes there are heated debates with the Vedists. He is not portrayed altogether unfavourably, but he too fails to satisfy the query of Jarā, the hunter, who wished to know how he could be absolved of the sin of killing Vāsudeva Kṛșṇa inadvertently. Thus Cārvāka’s philosophy is found wanting. The influence (or rather the shadow) of Paraśurāma’s ‘Jābāli’ is noticeable in Bishi’s portrayal of Cārvāka. However, his is the only composition that highlights what he considered to be the shortcomings of the Cārvāka doctrine; other Bengali authors implicitly approve of Cārvāka’s views. Very much like the Buddhist canonical works, such as the ‘Brahmāyusutta’ MN 2:41.1.1 p.382, 41.2.9 p.390; ‘Selasutta’ 2:42.3 p.397; ‘Assalāyanasutta’ 2:43.1.1 p.403; ‘Caṅkῑsutta’ 2:49.1.1.3 p.429; ‘Saṅgāravasutta’ 2:50.1.1. p.482, and paracanonical works like Milinda 1.10, 1.23, 4.3, 4.26, and Lalitavistara Ch.12 p.179, some Jain works too record more or less similar curriculum of studies (for the princes?). They include, besides the Vedas and the Vedāṅgas, and such secular subjects as arithmetic, music, poetry, drama and stories, several philosophical systems. For example, in the Vasu, p.24, we read of Mīmāṃsā, Saṃkha (Sāṃkhya), Loyiya, Loyāyatiya, Saṭṭhitaṃta (Ṣaṣṭhitantra), etc. The Anuyogadvārasῡtram mentions Loyāyayaṃ (1999 ed. sūtra 49 p.91). It also mentions Vaisesiyaṃ, Buddhavayaṇaṃ, Vesiyaṃ, Kāvilaṃ, Loyāyayaṃ, Saṭṭhitaṃtaṃ, Māḍharaṃ, etc. (ibid. ; see also 1966 ed. p. 64; 1968 ed. sūtra 72 p. 29). Naṃdisūttam sūtra 67 too has a similar list of subjects under the head of mithyāśruta works, beginning with the Bhārata (Mahābhārata) and the Rāmāyaṇa: Kanakasaptatiḥ, Vaiśeṣika, Buddhavacanaṃ, Vaiśikaṃ, Kāpilaṃ, Lokāyataṃ, Ṣaṣṭitantraṃ, Māṭharaṃ (Nos.10-17) (1924 ed. sūtra 42 f.193b; 1997 ed. p.113). The position of Lokāyata in the syllabus may suggest that it stands for a system of philosophy, not disputatio, teaching the art and the science of disputation (vitaṇḍā-vāda-śāstra) as in the Pali and Buddhist Sanskrit tradition. But the haphazard manner in which the subjects of study are enumerated – philosophical systems and various other subjects named unsystematically – coupled with the uncertainty of reading (e.g., the mss of the Naṃdi. mention several names to denote one subject: Ābhītamāsurakṣaṃ, Haṃbhīmāsurukkaṃ, Bhībhāsūkṣma and Bhībhāsurutta (1997 ed. ‘Bhuumika’ p.20. See also Anu. 1999 ed. p.91 and Nandi. 1968 ed. p.) – renders the task of identifying the subjects and their contents extremely difficult, if not impossible, at the present state of our knowledge. Cārvāka makes his appearance in the most unexpected places. For instance, Ānandavardhana recalls Cārvāka in passing when he speaks of dhvani (see R. Bhattacharya (2012b), pp.55-64). Another such instance is found in the Rājataraṅgiṇī, the saga of the kings of Kashmir, written by Kahlana (eleventh/twelfth century). Böhtlingk and Roth mention this instance in their Sanskrit-Wörterbuch (s.v. Cārvāka) as does Monier-Williams in his Sanskrit English Dictionary (1899), but no scholar, to the best of my knowledge, mentions this instance, let alone comment on or analyse it in detail. The above instances, varied and divergent both in space and time, point out a significant aspect of the impact of materialism in Indian life and thought, both in pre-modern and modern times. Veda-baiting is not the exclusive mark of the materialists – the Buddhists and the Jains did not lag behind – but rationalism, denial of all authority (verbal testimony, śabda) is a trait associated with the materialists alone (although the Buddhist logicians too did not admit word as an instrument of cognition). It is interesting to observe the positive response to Jābāli and his preaching in modern Bangla works. And lastly, the distinct tradition relating to Lokāyata found in Jain canonical and secular works deserves further exploration. By accumulating all these details it will be possible to reconstruct the materialist tradition in India more fully and creditably. Eminent Sanskritists like Abhyankar (Mahābhāșya Pune ed. p.13) and Sukumar Sen (p.40 n1) have taken bhrāja to mean pramattagῑta and vice versa. This certainly cannot be true. The context makes it clear that a distinction is being made between two kinds of verses (ślokas): those which conform to the Vedas and those which do not. The former is called bhrāja; the latter, pramaṭttagῑta. Moreover, the bhrāja should not be considered as a kind of udbhaṭa śloka (floating verse, verse of unknown authorship) as Sukumar Sen proposes (p.40 n1). A bhrāja is not just any floating verse but a particular kind of verse that adheres to the Vedas, as opposed to the pramattagīta. dhvastaprajñā(nāṃ pañca)liṃgāni jāḍye (p.618). Ram Chandra Pandeya has emended the reading of the last quarter-verse (pāda) as dhvastaprajñāne (p.359). In his Introduction to the PV with Prajñākaragupta’s commentary (1953) Sāṃkṛtyāyana says, ‘In order to make cause-effect relations comprehensible, the Buddha with a view to clarifying “discontinuous continuity” spoke of “This being there, that happens”. This is how he laid the foundation of clear and profound logic. The outcome of this is the verse of Dharmakirti. …The Buddhists totally rejected the authority of word (verbal testimony),’buddhena…kāryakāraṇasamvandhāvadhāraṇārthaṃ ca “asmin sati idaṃ bhavatīti” spaṣṭīkaraṇena pratītyasamutpādo’gādi | Buddhena bhārate svacchanda-prauḍha-pramāṇaśāstrasya sῡtrapātaḥ kṛtaḥ | etasyeva phalaṃ yad dharmakīrtinā “vedaprāmaṇnayaṃ…jāḍye ||” bauddhaiḥ śabdasya prāmaṇayaṃ sarvatobhāvena pratyākhyātam | (p.ga). M. Shahidullah translated the dohās and songs by Kāṇha and Saraha into French (which he called ‘les chants mystiques,’ mystic songs) in 1928. The venerable puritanical Professor was so ill at ease with the word nitamba (posterior) in a dohā by Saraha (No.7, directed against the Jains) that he rendered it into French as ‘les parties intimes d’une jeune femme’ (p.169). An English translation of Shahidullah’s book is now available (Sinha Roy 2007). The above mentioned phrase is faithfully translated as ‘the intimate parts (nitamba) of a young woman’ (p.157). A recent study by Federico Squarcini (2011) deals with the dissident voices recorded in the epics and the Purāṇas, as well as mentioned by the authors of the Dharmaśāstras and their commentators. See also R. Bhattacharya (2009a), pp.49-56. The whole canto, however, has the appearance of being interpolated. See Mbh, Book 2, Sabhāparvan, crit. ed. (1944) canto 5 and Editor (Franklin Edgerton)’s note, pp.489-91, and Rām, Book 2, Ayodhyākāṇḍa, crit. ed. (1962) canto 94 and Editor (P.L. Vaidya)’s note, p.702. Hemachandra Bhattacharyya also edited the composite version of the text in Nagari type, which, along with the Bangla rendering, was published from Kalikata in 1869-84. Rajshekhar Basu himself later made an abridged Bangla translation of the Rām in 1353 BS (1946 CE). In his Introduction to this work he specially mentioned Jābāli as an interesting character, for he could become either an āstika or a nāstika depending on the circumstances (p. vii). (One feels Basu actually appreciated the sage’s ‘justified foxiness’). The abridgement of the Rām (as also of the Mbh) proved to be a great success, particularly among the readers who were loath to go through the whole Rām in Hemacandra Bhattacharyya’s translation. Jamkhedkar, pp.78-79, writes ‘Loyāyatiyavāda (lokāyatikaaāda)’ [sic], instead of ‘Loyāyatiya’ as in the printed text. The Vasu, middle section (first part) [majjhimakhaṅḍo (padamo bhāgo)] contains more names, some of which are not easy to identify: samikkhaṃtavāda, kaṇaga, sattari, māsurakkha-sikkha, vesisita, yovayoī… (p.24). For a general survey of the Jain system of education, see B. Dasgupta, 1999. Attempts have been made to identify the names with little success. Vaiṣika, for instance, has been explained as a book of erotics (Kāmaśāstra). It has been called strīveda (Veda for women) in the Cūrṇi on the SKS (Naṃdi 1997 ed. ‘Bhuumika’ p.20). lokāyata is a polysemous word and it is not always easy to decide in which of the many senses the word has been employed in a text. In KA 1.2.1 Ānvīkṣikī is one of the vidyās; and Ānvīkṣikī stands for Sāṃkhya, Yoga, and Lokāyata (1.2.10). There is no unanimity of opinion concerning what Ānvīkṣikī means – the science of reasoning or philosophy or logical philosophy or what. Hence the meaning of Lokāyata too remains doubtful. See R. Bhattacharya 2009/2011 pp.131-35. Personally I am inclined to take Ānvīkṣikī in the sense of a logic-based philosophical system, and Lokāyata as disputatio, the art and science of disputation. For further details regarding Lokāyata in Pali and Buddhist Sanskrit works, see R. Bhattacharya 2009/2011 pp.187-200, and 2012c. As far as "esprits forts" is concerned, this is a quite typical French expression originally coined, by their opponents, to refer to the libertines of the XVII c. CE, like Pierre Gassendi, Gabriel Naudé, François de la Mothe le Vayer, etc. The expression implicitly means: one who does not indulge in faith, one who considers faith as something good for superstitious "weak spirits". Of course, "esprits forts" at the very beginning was used with a derisive sense, but after a while it became an actual – as it were – "positive" definition in se. To be clear, the French libertinism of the XVII c. was a philosophical movement (libertinage érudit) characterized by the rediscovery of the Greek skeptic thought (Pyrrho) and the re-evaluation of Epicurus' philosophy. The libertines were used to argue solely on rational grounds and they refused any kind of revelation. They accepted a morality founded only on reason and on the "Law of Nature". Aṇuogaddārāiṃ (along with Naṃdisuttam, etc.). Eds. Punya Vijaya Muni and others. Bombay: Shri Mahavira Jaina Vidyalaya, 1968. Anuyogadvārasῡtram. Parts 1 and 2 with a Cūrṇi by Jinadasaganimahattara, a Vivṛti by Haribhadrasūri and a Vṛtti by Maladhara Hemacandrasūri. (Re-ed. Muni Jambuvijaya). Ed. Muniraja Punya Viajayaji Maharaja. Bombay: Shri Mahavira Jaina Vidyalaya, 1999. Aṣṭ Aṣṭādhyāyī of Pāṇini. Sumitra M. Katre (trans). Delhi: Motilal Banarsidass, 1987. Bandyopadhyaya, Saradindu. Śaradindu Amanibās. Vol.7. Kolkata: Ananda Publishers, 1388 BS. Bhattacharya, Ramkrishna. Lokāyata and Its Derivatives in the Sad-dharma-puṇḍarīka-sūtra. Esercizi Filosofici 7, 2012, pp.98-103. (2012c). Bhattacharya, Ramkrishna. Studies on the Cārvāka/Lokāyata. Firenze: Società Editrice Fiorentina, 2009; London: Anthem Press, 2011. Bhattacharya, Ramkrishna.Cārvāka Miscellany [I] (2012b), Tulsi Prajñā (Ladnun, Rajasthan), 38: 152. July-December 2011, pp.55-64. Bishi, Pramathanatha. Purṇāvatāra. Kalikata: Mitra o Ghosh, 1378 BS, reprinted 1382. Chakrabarti, Sudhir. Balāhāŗi Sampradāy ār tāder gān. Kolkata: Pustak Bipani, 1986. Das, Matilal. Cārvvāka. Balikhola, Khulna (now in Bangladesh): Yogendranath Das,1340 BS. Dasgupta, Debendra Chandra. Jaina System of Education. Delhi: MLBD, 1999 (first published 1942). Dasgupta, Shashibhusan Obscure Religious Cults as Background of Bengali Literature. Calcutta: University of Calcutta, 1946 (reprinted 1969, 1976, 1985). Dharmakīrti. Pramāṇavārttikam. Svārthānumāna-pariccheda, with Svavṛtti and glosses by Karṇkagomin. Ed. Rahula Sankrityayana. Ilahabad: Kitab Mahal, . Dharmakīrti. Pramāṇavārttikam with Prajñākaragupta’s commentary. Ed. Rahula Sankrityayana. Patna: K. P. Jaiswal Research Institute, 1953. Dharmakīrti. Pramāṇavārttikam with the auto-commentary and the Vṛtti by Manorathanandin. Ed. Ram Chandra Pandeya. Delhi: MLBD, 1989. Gupta, Īśvaracandra. Īśvacandra Gupter Granthāvalī. Two Parts in One. Kalikata: Basumati Sahitya Mandira, n. d.
Gupta, Īśvaracandra. Racanāvalī. Kalikata: Dattachaudhury and Sons. 2 vols. 1381-82 BS = 1974-75. Jamkhedkar, A. P. Vasudevahiṃḍī: A Cultural Study. Delhi: Agam Kala Prakashan, 1984. KA. Kauṭilīya Arthaśāstra. Ed. and Trans. by R. P. Kangle. Parts 1 to 3. Bombay: University of Bombay, 1965-72. Kalhaṇa. Rājataraṅginī. Ed. and trans. into Hindi by Pandeya Ramtej Shastri. Kashi: Pandit Pustakalaya, 1960. Kalhaṇa. Râjataranginî. Histoire des Rois du Kachmîr. Traduite et commentée par M. A. Troyer. Paris: Société Asiatique, 1840. Kalhaṇa. Rājataraṅgiṇī. Trans. into English by Ranjit Sitaram Pandit. New Delhi: Sahitya Akademi, 1977 (reprint, first published 1935). Kāśikā. Vāmaṇa-Jayāditya. Kāśikā , with Nyāsa and Kāśikā-vivaraṇapañjikā by Jinendrabuddhi and Padamañjarī by Haradatta, etc. Ed. J. L. Tripathi , Vol.7. Varanasi: Tara Book Agency, 1990. Lalitavistara. Ed. Rajendra Lala Mitra. Calcutta: The Asiatic Society, 1877. Milindapañho. Ed. V. Trenckner. London and Edinburgh: William and Norgate, 1880. Mukhopadhyaya, Arindrajit. Cārvvāker Ukti. Kalikata: Binay Bandyopadhyaya,1363 BS. Naṃdi. Ed. Acarya Mahaprajna. Ladnun: Jain Vishva-Bharati Institute, 1997. Nandisūtraṃ with three vṛttis. Ed. Muni Shri Punya Vijayaji. Varanasi-Ahmedabad: Prakrit Text Society, 1968. Śrīman Nandīsūtram with Malayagiri’s vṛtti. Mumbai: Srimati Agamodayasamiti, 1924. Openshaw, Jeanne. Seeking Bāuls of Bengal. Cambridge: Cambridge University Press, 2002. Paraśurāma Granthāvalī. Vol. 2. Kalikata: M.C. Sarkar and Sons, 1388 Bengali Year (reprint). Patañjali’s Mahābhāṣya. Paspaśāhnika. Ed. with English translation, etc. Kshitish Chandra Chatterji. Calcutta: A. Mukherjee & Co., 1972. Patañjali’s Vyākaraṇa-Mahābhāṣya, Āhnikas 1-3. Ed. K. V. Abhyankar and Jaydev Mohanlal Shukla. Poona: Bhandarkar Oriental Research Institute, 1975. PPu Sṛṣṭikhaṇḍa. Poona: Anandashrama, 1893-94. PPu Padmapurāṇa. Sṛṣṭikhaṇḍa. Ed. and trans. [into Bangla] by Tarakanta Devsarmman and others. Kalikata: Vangavasi, 1310 BS. Rām Basu, Rajasekhara. Vālmīki Rāmāyaṇa. Sārānuvāda (1353BS = 1946-47). Kalikata: M. C. Sarkar & Sons., 1357 BS. Rām Bhattacharyya, Hemacandra. Vālmīki Rāmāyaṇa. Trans. into Bengali (1869-84). Kalkata: Bharabi, 1975 (reprint). Rām Rāmāyaṇa. Abridged English Trans. by R. C. Dutt. < hinduism.about.com/library/weekly/extra/bl-ramayana1.htm>. Rām Rāmāyaṇa. Bengali version. Ed. Amaresvara Thakura and others with Lokanātha Cakravarttī’s commentary Manoharā. Kalikata: Metropolitan Printing and Publishing House, 1932-41. Rām Ramayana…di Valmici. Traduzione Italiana con note dal esto della Scuola Gaudana per Gaspare Gorresio. Volume Secondo. Parigi (Paris): Stamperia Nazionale, 1851. Rām Ramayana…di Valmici..Testo Sanscrito…della Scuola Bvdana per Gaspare Gorresio. Volume Secondo. Parigi (Paris): Stamperia Nazionale, 1844. Rām Śrīmadvālmīkirāmāyaṇaṃ. Second ed. revised by Pandit K. Chinnaswami Sastrigal and V. H. Subrahmanya Sastri. Madras: N. Ramrantam, 1958. Rām The Adyodhyākaṇḍa of Śrīmadvālmīkirāmāyaṇa with Mādhavayogin’s commentary, Amṛtakataka. Ed. Vidwan K. S. Varadacarya. Mysore: Oriental Research Instiute, University of Mysore, 1965. Rām The Rāmāyaṇa (1927). English Trans. Makhanlal Sen. Calcutta: Firma KLM, 1976 (reprint). Rām Vālmīki Rāmāyaṇa, The. Critically edited by G.H. Bhatt and others. Baroda: Oriental Institute, 1960-75. Salumkhe, A. H. Cārvākadarśana (in Marathi). Mumbai: Kesava Gore Smaraka Trust, 1987 (first published 1982). Sankrityayana, Rahula. Bauddha Darśana (1943, 1948). Ilahabad: Kitab Mahal 1983. Sankrityayana, Rahula. Darśana digdarśana (1944). Ilahabad: Kitab Mahal, 1978. Senshastri, Upendranath. Cārvvāka in: Ebaṃ Ei Samaya, Year 13, 40th Autumn Number, July-September 1997, pp.137-41 (Preface), 142-95 (text). 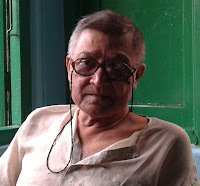 Sinha Roy, Pranabesh. Mystic Songs of Kāṇha and Saraha . Calcutta: The Asiatic Society, 2007. Squarcini, Federico. Pāṣaṇḍin, vaitaṇḍika, vedanindaka and nāstika. On criticism, dissenters and polemics and the South Asian struggle for the semiotic primacy of veridiction. Orientalia Suecana. LX. 2011, 101-15. Vasu Dhammasena-gaṇi-mahattara-virahao. Vasudevahiṃḍī. Eds. H. C. Bhayani and R. M. Shah. Ahmedabad: L. D. Institute of Indology, 1987. VPu Vishṇu Purāṇa, The (1840). Text with trans. by H.H. Wilson. Delhi: Nag Publishers, 1980. VPu Viṣṇupurāṇam. With Śridharasvāmin’s commentary. Kalikata: Vangavasi, 1294 BS. Acknowledgements: Amitava Bhattacharyya, Sourav Basak, Krishna Del Toso, Vandana Dasgupta. The usual disclaimers apply. This essay was first published in Tulsī Prajñā (Ladnun), 38: 152, July-December 2011, pp.55-64.